Dr. Hamid Mohtadi is professor of economics at the University of Wisconsin at Milwaukee and affiliated professor of applied economics at the University of Minnesota. Currently he is a visiting professor at the Massachusetts Institute of Technology. 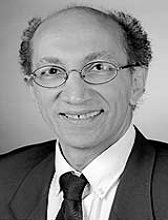 Dr. Mohtadi specializes in terrorism risk, measurement of risk, international development, economic growth, political economy and public economics. He has published extensively in all these areas. Dr. Mohtadi was the first to apply a cutting edge statistical method to quantify the probability of terrorism events around the world. His work on this topic, which began when he was an Affiliated Scientist with the DHS center NCFPD (National Center for Food Protection and Defense) at the University of Minnesota, was first published as a lead article (joint with A. Murshid) in a lead journal of econometrics to be followed by many other journals and books. He has presented extensively on this topic. Currently Mohtadi is Co-PI, with his START colleagues, on a 5-year DHS-NSF grant in which his focus is on game strategic interaction between a non-state adversaries and state defenders, using tools and techniques from game theory. Mohtadi has supervised several dissertations in this or related areas and is currently supervising one. Dr. Mohtadi has also applied his unique analysis of extreme risk to financial markets. He has both published in this area and has supervised the risk management methodology of a large domestic public bank. Mohtadi is also a Research Fellow of the Economic Research Forum, on the Middle East and North Africa where he has extensively presented his work on political economy, institutional reform and public policy in such countries as Morocco, Tunisia, Egypt, Jordan, Kuwait and Turkey wining Best Paper Awards several times. Dr. Mohtadi’s work on democracy and state and on taxation, public goods, and corruption, have been published in some of top economics journals. His current research is on the role of oil in its relation to institutions. In this work he leads a research team funded by the Economic Research Forum with collaborators at UCLA and Arizona State University. Mohtadi received his PhD in economics from University of Michigan, Ann Arbor, and a Masters in physics from Columbia University.